I will spare my lovely readers from any details but I had a turn for the worse this past week and was really.really.really. not feeling well. The kind of not feeling well where you can’t even read (and folks, I always have a book going) to pass the time because you can’t concentrate. You don’t expect 8 months into marriage that your husband would be picking you up, in and out of bed, but who knows what this life will throw at you. Totally not complaining…I understand it could be worse, for sure. But that line, “It could be worse,” got a little old this past week. In the midst of a slightly dark week for me, I received many thoughtful and encouraging Facebook messages, texts, calls and e-mails. For every one, I am truly grateful. I can hold a grudge for a bit but it usually doesn’t last long as I’m quick to take people off the hook….but I so quickly hang myself back up on that very hook all the same. Needless to say, I’m hard on myself. Even when I’m sick, believe it or not! I know, I know. You’re probably thinking, “For the love of god, Brittany, give yourself a break…you have a broken ankle!” But still, it’s not that easy for me. These nagging feelings of–I should be able to do more, clean more, make dinner more, do laundry more, write more,…be more…than I am right now–berate me. However, since receiving this precious, little message, I have been working on not working on myself. The next few days I stayed in bed all day. Because I needed to stop trying and just be. I let myself cry. Because, well…it’s been a month with pain and a cast and crutches and it’s getting a bit old. I let myself be frustrated and mad. Because He’s not turned off by my fickle emotions. I didn’t try to do anything of “value.” I just…was for the next few days. I was simply, intentionally more kind to myself. I let myself be human. Let myself be my broken self. I let myself off the hook and was more gentle. What a valuable lesson to be learned. I sure hate that you’ve been suffering so much! But so glad you are just letting yourself BE, resting in God, not pushing yourself. 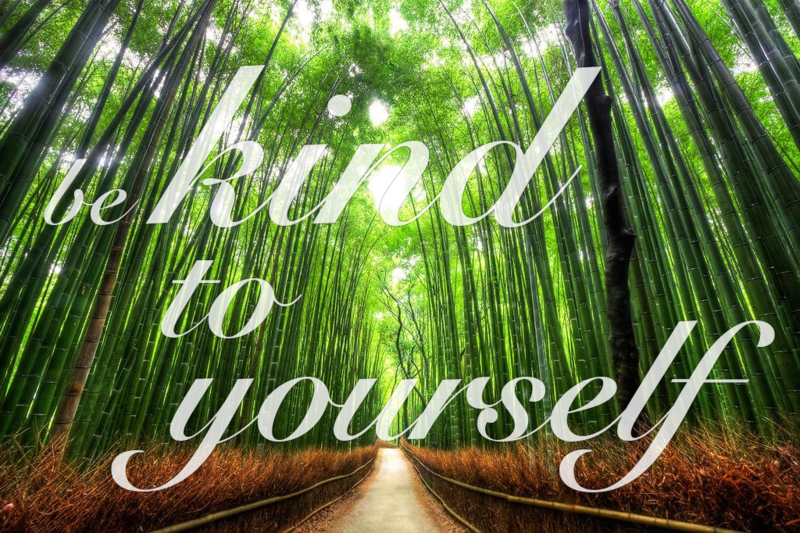 Good lesson for us all, to be kinder to ourselves, when usually we are the hardest on self. Thanks for sharing! Thank you for reminding us that we can let go and be ourselves in any manner, God you are right is not moved and wants to hear how we feel He knows anyway… God is the great healer and I pray His mighty hand of healing on your ankle right now in the name of Jesus. Take care of YOURSELF, rest and heal…Gods Blessings..
“Let go and be ourselves..” – so good. God, help us with this! It’s so freeing. Thank you for reading!! Hi Helen! I’m still trying to remember names and faces of people at HCF but yes, I know who you are and remember speaking before. 🙂 Thank you so much for reading and commenting. I think it so pleases God to have us be…well, RAW and painfully honest…about where we’re at. Thank you for your kind words and encouragement!! Also true healing will never take place if realities are not faced bang-on! How can God send us his comfort or help if we are not admitting to hurting or struggling?? Thank you for posting this! In Jesus name all pain, any sign of infection be gone! Be healed in Jesus name.